Bruce Lee kicked around Hollywood for years looking in vain for an American break when Hong Kong came calling. As Kato in the TV series The Green Hornet he had become an Asian star (the series was renamed for his character when it crossed the Pacific) and ripe for his own vehicle. This raw, low-budget effort, called The Big Boss in its native Hong Kong, is a generic revenge drama enlivened by Lee's intense screen presence and martial arts prowess. He's a country boy who takes a job at a Thailand ice-packing plant and discovers it's a cover for heroin smuggling. Lee is held back through the first half of the film by a promise he made his sweet, gray-haired mom not to brawl (which means you have to wait to see him in action), but his indignation turns to fury as friends and coworkers disappear and the boss sends thugs to take care of the brooding, intense country boy. The final half of the film is a series of violent confrontations, culminating in a marvelously choreographed showdown at the ice plant. 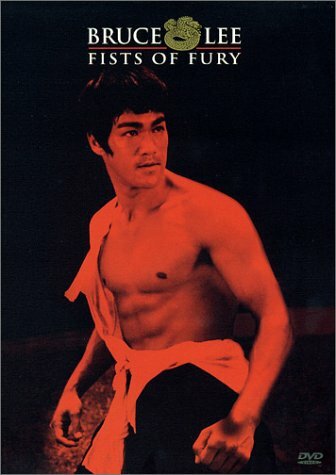 Lean, mean Lee, with a physique that looked sculpted in bronze, became an overnight sensation with this film, breaking all Asian box-office records and starting an international kung fu craze, but none of the pretenders ever touched Lee's cool cinematic charisma or his martial arts grace.